Iran’s Sepah Pasdaran (Revolutionary Guards) confirmed several days ago that one of its generals was killed—along with several Hezbollah members—when an Israeli helicopter attacked a convoy in the Syrian/Israeli border region of Qunaytira. Yet no one really needed more proof that Iran has embedded itself in Syria, especially since that fait accompli occurred years ago. Ultimately, this incident reinforces the notion that we must, finally, view Iran from a much broader perspective than that of simply being a young and ambitious country…. To understand the magnitude of Iran’s presence in Syria, its multi-layered dimensions, the leverage it exerts here in Lebanon and the calculated effect it is achieving in many other countries, one must first appreciate the true political dimensions of its creeping omniscience. Clearly, Iranian “ambition” is unfolding before our very eyes, and it is already turning large swaths of the Arab world into uncontested elements of its sphere of influence. Iran has indeed invested a great deal in the last several decades to achieve this pivotal status, and its apparently ad hoc reliance on various “friends,”“allies,”“proxies” and “networks” is now quite obviously a fundamental component of that country’s expansionist theme. 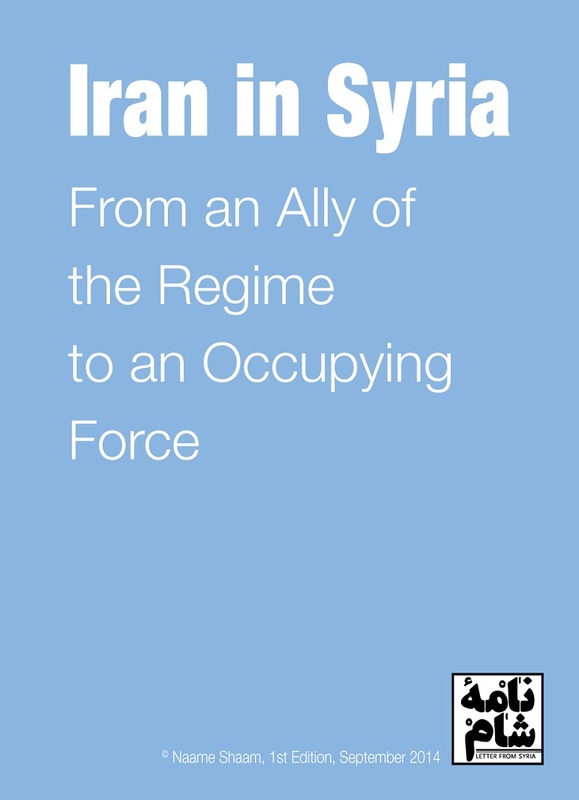 In an effort to unveil these comprehensive maneuverings, Naame Shaam has been working diligently to disseminate “reliable, concrete information about Iran’s role in Syria” through direct action supplemented by exhaustive research and documentation efforts. The product of that diligence, a voluminous report titled “Iran in Syria – From an Ally of the Regime to an Occupation Power,” was published last September. It is still making waves today, as evidenced by other activists who are also voicing their dissatisfaction with this new status quo. During his interview with ShiaWatch, Lebanese Shia Fouad Hamdan was gracious enough to answer several questions about Naame Shaam and its advocacy work, his recent trip to Washington, D.C. to present its report on “Iran in Syria” and his perception of the interplay between Iran’s “nuclear” and “territorial” ambitions. 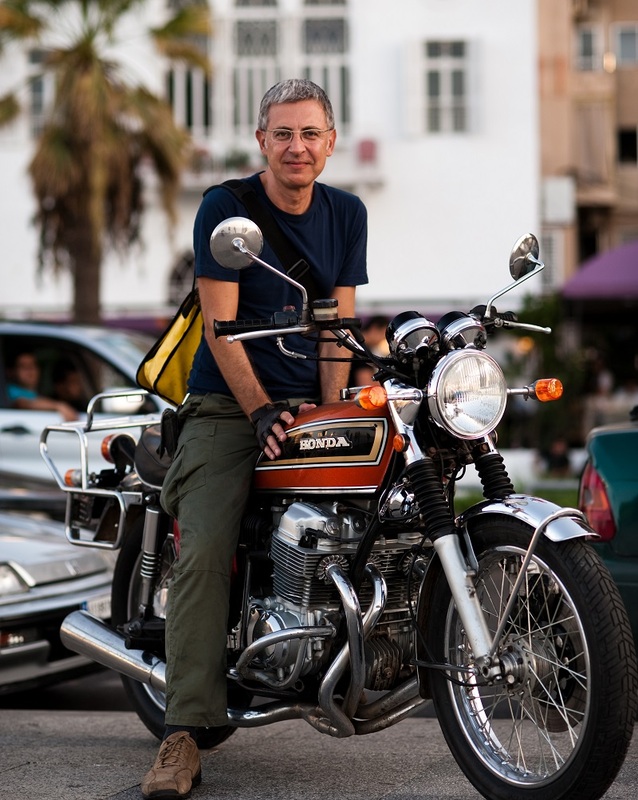 “Back in 1979, I bought a Honda CB750 Four K6 in Beirut, a motorcycle that defined the “superbike” era. I rode that bike until May 1981, at which time I sold it to a friend, Samir Khattab, and left for Germany to become a university student. Twenty-seven years later—February 2008—I bumped into Samir while I was in Beirut. To my great surprise, he said he’d hardly used the bike. In fact, he rode it only until the summer of 1981 when he stored it in his grandmother’s humid Beirut garage and also departed for Germany. By 2008 of course, the CB750 was in horrible shape. In fact, it was clinically dead. With the help of Jamal Kahwaji, an excellent mechanic in Beirut, it took me eight months to get all of the necessary spare parts through eBay Germany and resurrect the bike. By November 2008, that CB750 was once again plying the roads of Lebanon. With his permission, the text and the picture above appear on and have been adapted from Fouad Hamdan’s personal website at www.fouadhamdan.org. » Fouad Hamdan, can you tell us more about yourself? For instance, what would an unauthorized biography of F. H. entail? I grew up in Lebanon and lived through six years of civil war between 1975 and 1981. Those were the most intense years of my life. The incredible universe of West Beirut politicized me. During that bloody period, I lost all illusions about Communism, Nasserism and Baathism. Hollow ideologies such as those led directly and uniformly to dictatorships. I spent the next phase of my life in Germany where I studied political science. Afterward, I became a journalist for the German Press Agency in the Gulf and in Egypt. But deep inside, I have always been an activist, so I joined Greenpeace and established its operations in Lebanon in the 1990s. We campaigned against toxic waste imports and waste management, prompted the return of toxic waste to Europe and mobilized people to close down waste incinerators. Later on, I helped set up the Arab Human Rights Fund in Beirut, which gave grants to Arab groups working on human rights issues. Since 2011, I have been dedicating most of my time to coaching and advising Syrian activists and opposition politicians working to topple the Syrian regime of Bashar al-Assad. This led in 2013 to the founding of the Rule of Law Foundation, under which the NaameShaam campaign is run. I am convinced that in Lebanon, we have no chance to work seriously on fixing our problems—starting with confessionalism and corruption—until the Assad regime has fallen and Hezbollah has been disarmed. Lebanon has no prospects for stability and peace until the rule of law prevails in Syria and Hezbollah has evolved into a non-violent political party. It is impossible to speak freely in public in southern Lebanon until Hezbollah cuts its links with the Iranian regime and is no longer considered a sub-unit of Iran’s Sepah Pasdaran (Revolutionary Guards). Since 1976, when troops of Syrian President Hafez Assad besieged West Beirut and bombed the hell out of us, I have been driven by the desire to help topple the Baath regime in Damascus. I started seeing the light at the end of the tunnel when the Syrian people began their revolution in March 2011. My bio also mentions that I am an avid motorcyclist. I climb aboard my vintage Honda CB750, hit the ignition and take off, even in the rain. It’s not just about the freedom of being on two wheels in direct contact with nature. When I’m on my bike, I forget for a while what the Assad dynasty of dictators has done to the Lebanese, Palestinians and Syrians. So, that sums up my authorized bio. I’ll leave it to you to write the unauthorized version. » The Naame Shaam initiative has propelled your activism and advocacy efforts to a higher level. How did that enterprise commence? How much is the Iranian regime spending from Iranian public funds to arm and support the Syrian regime in its bloody war against the Syrian people? How many Sepah Pasdaran members are fighting alongside Syrian regime forces in Syria (or are they really only acting as “advisors” as they claim)? What is the extent of Hezbollah’s involvement in Syria? Why is the Iranian regime spending so much money on its adventure in Syria? What are its aims in that country? When I could no longer tolerate the lies being spread by official Iranian media, I developed the broad outline of a campaign and discussed it with friends, who then agreed to help me advance the project. Shiar Youssef from Syria and two Iranian activists joined the “crew,” and together we developed the details of the plan. We went public with it in February 2014. » What exactly does Naame Shaam do? Naame Shaam monitors Iranian state media and conducts other research to gather as much information as possible about what Hezbollah Lebanon and Sepah Pasdaran are doing in Syria. We also hold peaceful demonstrations to disclose the massive support being given by Sepah Pasdaran and Hezbollah Lebanon to the Assad regime in its war against the Syrian people. Our first action took place in Berlin in April 2014 and coincided with a German-Iranian business conference being held there. The location of that conference was a secret, but we managed to discover that hush-hush information. The Berlin action was followed by similar efforts in Vienna ahead of and during nuclear talks between world powers and the Iranian regime in May 2014. On the eve of the sham presidential elections in Syria in June 2014, we carried out a mock “election rally “outside the Iranian embassy in London. We called for Iranian General Qassem Soleimani to be designated president of Syria and Syria’s current president, Bashar al-Assad, to serve as his deputy. General Soleimani is the chief of Sepah Qods, a division of Sepah Pasdaran. He is in complete control of the armed forces of the Assad regime, its policies and economy. Hezbollah fighters and other Shia men from Iraq and Afghanistan are his foot soldiers. First, it is no longer accurate to describe the war in Syria as a “conflict” between Syrian rebels on the one hand and on the other by Bashar al-Assad’s regime forces, which are being “supported” by Sepah Pasdaran “advisors.” All major, strategic battles in Syria taking place along the frontlines of regime-held areas are now being directed by Sepah Pasdaran, and they are being fought mainly by Hezbollah Lebanon and other Shia militias. The al-Assad regime would have collapsed long ago without that kind of support. Second, human rights violations, war crimes and crimes against humanity committed by the Syrian regime would not have occurred had the Iranian regime not become involved directly in military operations. In many of those crimes, sufficient evidence is available to prompt investigations and even bring lawsuits for complicity against the Iranian regime’s military and political leadership and against Hezbollah’s leaders. Third, the massive military and economic support being provided by Sepah Pasdaran to the Assad regime has led to a de facto Iranian military occupation of regime-held areas in Syria, such that today, General Qassem Soleimani essentially rules “Iranian-occupied Syria,” and Bashar al-Assad and his regime are little more than puppets in his hands. This reality has political as well as legal ramifications. As an occupying force, the Fourth Geneva Convention prescribes that Iran must recognize that it has certain responsibilities to the Syrian population under its control. Fourth, as the revolution began, the Syrian and the Iranian regimes infiltrated, collaborated with and used Daech and Jabhat al-Nusra to nudge the Syrian revolution towards militarization and sectarianism and to justify their military actions against Syrian protesters and rebels. This is significant, as both regimes are now trying to sell themselves as partners in the international campaign against jihadis. Fifth, the chief reason behind the Iranian regime’s uncompromising determination to hold on to Bashar al-Assad at any cost is to maintain its ability to ship arms to Hezbollah in Lebanon via Syria. Those actions ensure that Hezbollah remains a strong deterrent against any possible Israeli and/or Western attacks on Iran’s nuclear facilities. If the al-Assad regime falls, Iranian arms shipments to Hezbollah are likely to stop and Hezbollah would no longer represent a capable deterrent force. The Iranian regime would therefore feel more vulnerable and would be unable to negotiate from a strong position in its ongoing nuclear talks with world powers. It could even be forced to abandon its nuclear dreams. All available resources in Iran—human, economic and military—have been mobilized to achieve the strategic aim of producing an A-bomb. Iran’s involvement in Lebanon and Syria is mainly about deterrence and creating the best possible circumstances for the Iranian regime to eventually build its nuclear bomb and guarantee its survival. We are convinced that the Iranian regime will not easily—if ever—let go of that dream. When I lobby the European Union in Brussels or officials in Washington, D.C., I remind my interlocutors that since the Hezbollah-Israel war in the summer of 2006, UN-flagged ships have been preventing Iranian arms shipments from reaching Hezbollah via Lebanese ports (in line with UN Security Council resolution 1701 of August 11, 2006). Because of that interdiction, the Iranian regime has been sending heavy weapons and ammunition to Hezbollah Lebanon via Syrian ports. From there, they are transported illegally into Lebanon. Essentially, since 2006, Syria has been the lifeline of the Iranian army in Lebanon: Hezbollah. I cannot repeat that fact often enough: Hezbollah is Sepah Pasdaran in Lebanon. » How is Naame Shaam funded? I convinced friends of mine to fund Naame Shaam’s campaign activities via donations to the Rule of Law Foundation. They wish to remain anonymous for security reasons…. » What are your plans for the coming months? 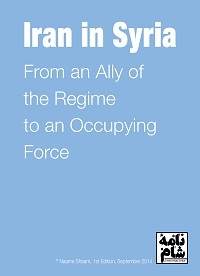 We are working on an update to our report “Iran in Syria,” which will be published in June. Other campaign activities are also being developed. Today, we find ourselves at a crossroads where the Iranian regime has been trying to sell itself as a partner in the international coalition against ISIL and other al-Qaeda-linked groups in the region. Meanwhile, Sepah Qods and the Shia militias it controls in Iraq and Syria continue to commit appalling war crimes and crimes against humanity with impunity. Just look at the barrel bombs being detonated in urban areas and killing thousands of civilians. By extension, those crimes are exacerbating Sunni extremism in the region and beyond. We will continue to work against the Pasdaran’s propaganda machine. » Following the release of your report “Iran in Syria,” you traveled to Washington, D.C. to promote your findings and sensitize American decision-makers to the scale of Iran’s intervention in Syria. Can you tell us more about your trip? The Lebanese Shia community prides itself on having liberated—via the “Islamic Resistance” aka Hezbollah—parts of Lebanon that were under Israeli occupation in 2000 and having acquitted itself sufficiently during the 2006 War. In comparison, however, the War of the Camps (1985 – 1987) persists as something of a nightmare in the Shia consciousness. The War of the Camps, conducted according to instructions given by Hafez al-Assad’s Baath regime, was prosecuted by the Amal Movement and sympathetic regiments of the then-fractured Lebanese Armed Forces. The targets were Yasser Arafat’s supporters and ideology, both of which were present in Beirut’s Palestinian refugee camps following the 1982 Israeli invasion. Predictably, the human cost of that war was atrocious: the estimated loss of several thousand Lebanese Shia and an unknown number of Palestinians. Beyond that sanguine point, the War of the Camps is considered an early contributor to the widening Sunni-Shia chasm. As that episode in Lebanese history was being played out, however, a nascent Hezbollah tried variously to remain disengaged and arbitrate the violence. Back then, that organization was vigilant about maintaining its focus and protecting its image as a pan-Islamic movement, the stated objectives of which were to liberate the occupied portions of Lebanon and resist Israel. The 30th anniversary of that war will take place this year, but different from then, the 2015 version of Hezbollah—apparently no longer concerned with its founding principles—is completely engaged in the Syrian war at the behest of its Iranian overlord. That seemingly endless bloodshed has already cost Lebanon’s Shia community the lives of hundreds of young men, further endangered the country’s fragile structure and propelled Sunni-Shia vehemence to new and unconscionable levels. Reflecting the country’s disenchantment with its new status quo, a group of Lebanese Shia recently published a leaflet boldly titled “The Second Camps War,” which includes the poster above. 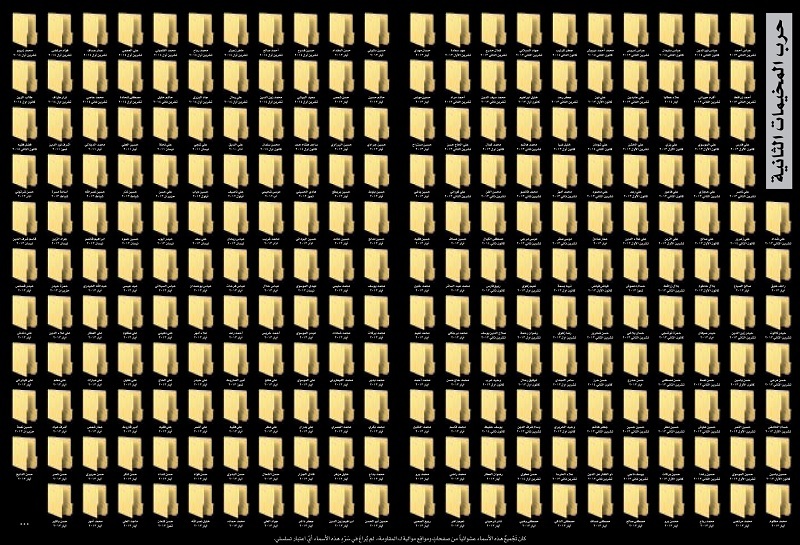 The folders are arranged neatly, reminiscent of the rigid organization of a military cemetery, and each bears the name of a young Shia who was killed in Syria. The text explains the bureaucratic progression from momentarily distinguished Shahid to a sterile folder being managed by office clerks! 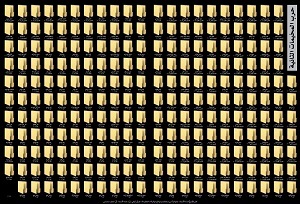 The texts of the leaflet are available online at: http://rakm4online.blogspot.com. I met officials, experts at several think tanks, journalists and academics. I also presented the report during a public event held at the Middle East Institute in Washington, D.C.
My core message was that the U.S. cannot make a nuclear deal with the Iranian regime at the cost of the people who live in countries that are being systematically destabilized by the Sepah Pasdaran; specifically, Syria, Iraq and Lebanon. Instead, the nuclear negotiations must be linked to Iran’s role in the region. The U.S. and its allies have a moral and political obligation to stop the bloodshed in Syria and to stabilize Iraq and Lebanon. The most effective way to accomplish those goals is by linking the nuclear talks and sanctions to the Iranian regime’s intervention in Syria, Iraq and Lebanon. This is the only realistic opportunity to push for and impose a fundamental shift in Iran’s foreign policy. Failure to do so will understandably be interpreted by people in the region as the West trading Syria, Iraq and Lebanon for Iran’s nuclear bomb. When I was in Washington, D.C., I was often told that the Obama administration has no policy on Syria. I disagreed and argued that President Obama is following what amounts to a “slow bleeding” policy towards Iran and Hezbollah in Syria and Iraq. The rationale behind that policy appears to be an assumption that a prolonged proxy war with the Iranian regime in Syria, coupled with crippling economic sanctions and falling oil prices, will eventually weaken the Iranian regime. Over time, that outcome would force Iran to agree to scrap its military nuclear program and end its destabilizing policies in Lebanon, Syria, Iraq, Yemen and elsewhere. Some people even hope that this “bleeding” process will lead to an uprising in Iran and the collapse of the Iranian regime; in other words, winning the Syrian war in the streets of Tehran. This is, at best, wishful thinking. The Iranian regime demonstrated its ruthlessness in 2009 when it crushed internal dissent and proved that it can “bleed” for a very long time. Iranian officials regularly threaten Iranian citizens that any dissent will be suppressed. In the meantime, the “slow bleeding” policy of the U.S. has also been perceived as giving Syrian rebels only enough support to ensure they don’t lose the war, but not enough to win it. This policy is being implemented at the disproportionate expense of the people of Syria and the wider region, and it is leading to increased instability and extremism in the Middle East and beyond. I pointed out that limiting the support that is being provided to Syrian rebels to fight Daech is not working. The U.S. administration’s refusal to provide significant support to moderate Syrian rebels has indeed strengthened Daech and Jabhat al-Nusra. Some of my interlocutors in Washington, D.C. were not happy when they heard that assessment. Acknowledge that the war in Syria is one that, first and foremost, involves the Iranian regime and the militias under its control (Hezbollah Lebanon and Iraqi and Afghani Shia gunmen). Iran is an occupying force in Syria and should be treated as such. Investigate the possible complicity of the Iranian regime—particularly Sepah Qods and its chief, General Qassem Soleimani—in the various war crimes and crimes against humanity being committed in Syria. End the “slow bleeding” policy towards the Iranian regime and Hezbollah Lebanon in Syria and adopt another, more sustainable strategy. Accept that the fight against Daech cannot be separated from the fight against regimes that have systematically manipulated and utilized terrorist groups, namely the Syrian and the Iranian regimes. Link trade talks with Iranian officials and negotiations over Iran’s nuclear program with the Iranian regime’s intervention in Syria, Iraq and Lebanon. Keep the Iranian regime under strong political and economic pressure. Such pressure should remain in force not just until the regime finally abandons its military nuclear program completely, but also until it ends its destabilizing policies in the region. Allow the formation of a truly inclusive government and security force in Iraq, and order all Shia militias to disband. During the ultimatum countdown, the U.S. and its allies should support Syrian rebels with all means necessary to enable them to take the offensive against Daech, Jabhat al-Nusra and the Pasdaran-controlled Hezbollah and other militias fighting on behalf of the Assad regime. If the Iranian regime fails to implement those demands by the end of that ultimatum, the U.S. and its allies should advance a resolution under Chapter VII of the UN Security Council to impose safe and unhindered humanitarian access to conflict zones and people in need throughout Syria. If Russia and China veto that initiative, then the U.S. and its allies should respond according to the Responsibility to Protect norm. In other words, secure rebel-held areas, impose no-fly zones and protect the Syrian people from war crimes, crimes against humanity, genocide and ethnic cleansing. My trip to Washington, D.C. was amazing because, believe it or not, in functioning democracies one can influence decision-makers to take the right direction if you have prepared your case well, if you do not try to pit opposing parties against the one holding power and if you speak English. U.S. decision-makers really listen to you, ask questions and take notes! It does not matter if you represent activists or a government. They respect you and your opinion. After nine days, we indeed managed to influence the debate in Washington. The Huffington Post sums up the political impact we had in its headline “With New Report, Congress Gains Ammo to Fight Iran Deal.” And by “congress,” it meant both Republican and Democratic members. Some of my friends and relatives criticized me for going to Washington, D.C., but I argued that the U.S. is the only power capable of leading an alliance against the destabilizing policies of the Iranian regime and jihadists like Daech and Jabhat al-Nusra. No other country can mobilize the necessary resources and exert the required political and economic pressure. The U.S. and its Western allies are the only nations interested in seeing the establishment of democracies in the Arab region. The same certainly cannot be said of the Russian, Chinese or Iranian regimes. 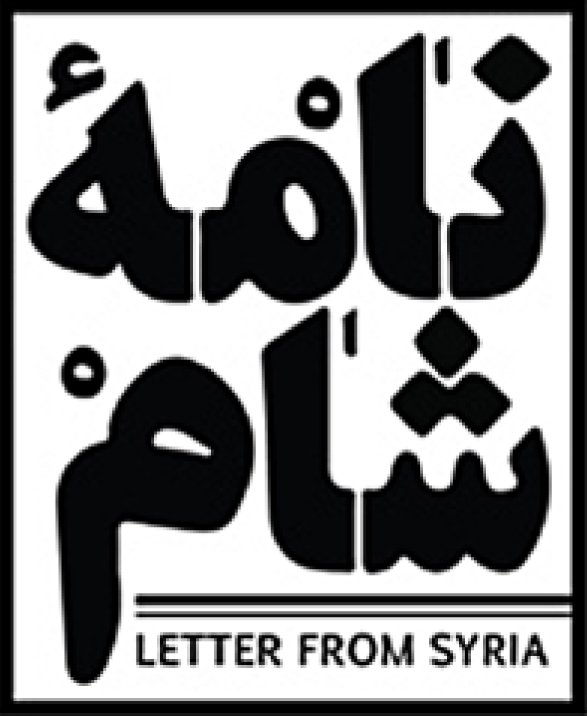 » In your open letter to Sayyed Hassan Nasrallah, you describe yourself as a Lebanese Shia from South Lebanon. What quality does this layered identity add to the message? Everyone should know that like me, many people from the Shia community oppose Hezbollah’s war in Syria and want the party to disarm. We may be a minority, but that can change if we break the wall of fear by speaking out. Syrians, Lebanese and Iraqis should tell their pro-Iranian leaders: We are against Sepah Pasdaran fighting to the last Shia in Iraq, Syria and Lebanon and to the last Syrian Alawi, just so Iran can become a nuclear capable military power. » In that letter, you took a “complaisant” tone and insisted on Hezbollah’s Lebanese character. What prompted you to frame the letter as you did? I urged Sayyed Nasrallah to withdraw his fighters from Syria to stop the fitna—sectarian strife—and save Lebanon’s Shia community from disaster. We at Naame Shaam wanted our message to be heard mainly by Hezbollah’s leaders and their supporters. Thus, the tone and wording we used had to be respectful. No sarcasm, no irony. Our job was to retain a tight focus on rational arguments. The recent Israeli attack in Syria during which several Hezbollah fighters were killed is a reminder of the dangers the Shia community and Lebanon itself are facing. Hezbollah cannot win a war in Syria, where it is regarded as an occupying force. A defeat and disorderly withdrawal from there could lead to Sunni-Shia fighting in Lebanon. One need only consider the many Palestinian camps in Lebanon where emotions among armed Syrian and Palestinian refugees are reaching fever pitch. The whole country is filled with arms! Beyond that, another Hezbollah-Israel war would probably lead to massive destruction and thousands of casualties in Lebanon, especially in Shia areas. By comparison, the 2006 war would be a joke. That categorically friendly letter to Sayyed Nasrallah is a desperate attempt to convince him to alter the suicidal course Hezbollah has taken, a path that continues to drag the Shia community and the country as a whole into an abyss. It is a cry for common sense. We also appeal to all Lebanese, Iranians and Syrians to send their own text and video messages to Sayyed Nasrallah and ask him—with respect and courtesy—to end Hezbollah Lebanon’s intervention in Syria, cut its ties with Sepah Pasdaran, disband the party’s military arm and turn Hezbollah into a truly Lebanese, non-violent political party. » Iranian involvement in Syria, Lebanon and Iraq seems to be increasing despite its high associated costs. Is the motivation behind that involvement shared with the Iranian public or perhaps with some sectors of that public? Not much, sadly. We observe that many Iranians are tired of the regime’s attempts to export its brand of Islamic revolution to Arab states. Many Iranians realize the excessive cost they must bear when Sepah Pasdaran misuses Shiites in Arab states—in some cases successfully, as in Iraq and Lebanon. Many Iranians understand that the sanctions enacted against their country are not only because of Sepah Pasdaran’s military nuclear program, but also because of its destabilization policies in the region. The Iranian regime has too many enemies, and Iranians are aware that they are individually paying the price. If you recall, the opposition Green Movement raised that very issue during the 2009 protests in Iran. Today, however, most Iranians are afraid to rise up because the regime’s suppressive response is quick and deadly. In addition, the Iranian regime has managed to convince too many Iranians that they are better off with the Sepah Pasdaran and Basij because the alternative would be civil war, such as in Iraq, Syria or Libya.